The WHC is a valuable resource for students of all ages. 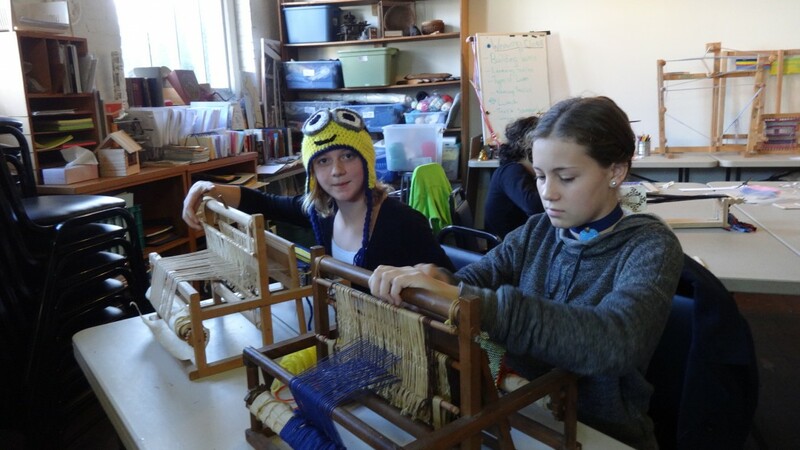 Our award-winning programs are designed to focus on student engagement and foster integrated learning skills. 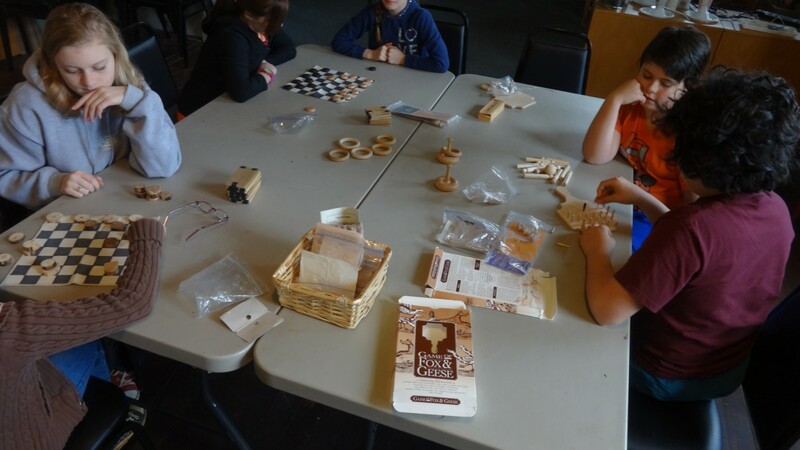 Critical thinking, literacy and application of skills are supported and encouraged by visits to our site and activities. 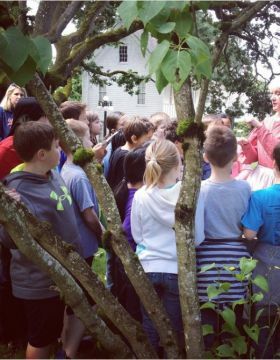 These kid-friendly tours take students through each of the historic houses with an emphasis on active learning. 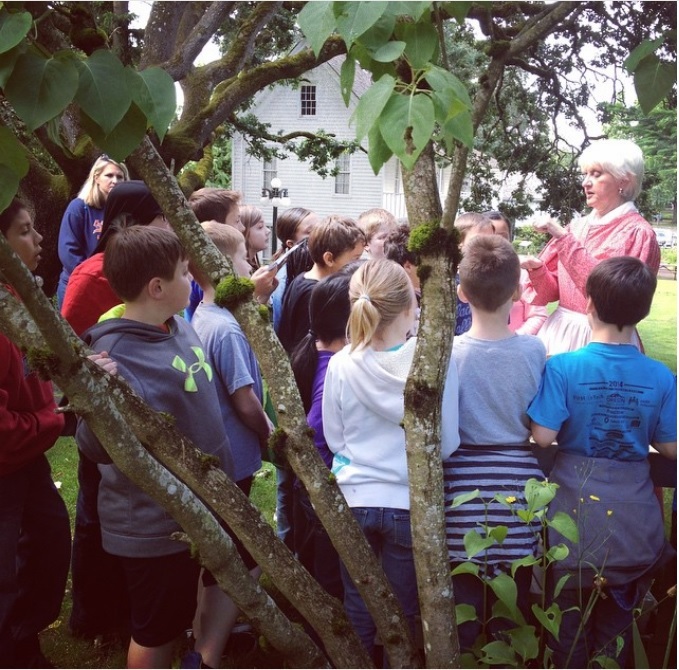 Tours are designed to introduce students to the history of the mid-Willamette Valley from the Kalapuya to today. 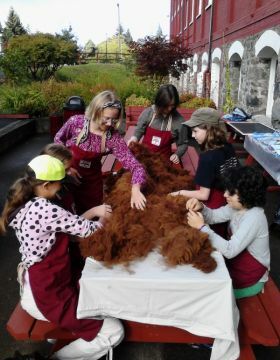 Students will rotate through stations in Creating Community exhibits in the museum’s historic houses, experiencing a combination of costumed “living history” performance, hands-on history lessons, active looking challenges and/or a traditional docent-led presentation. 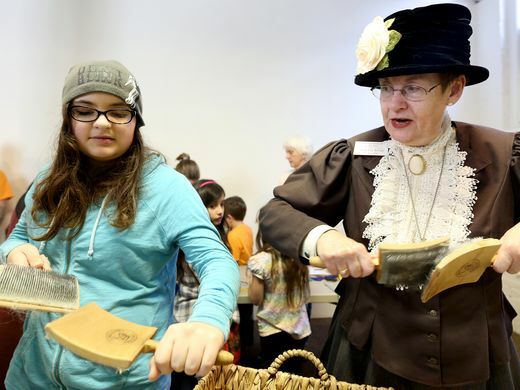 The Creating Community exhibits at the Willamette Heritage Center are made up of displays in the museum’s three historic houses that date to the mid-19th Century and represent some of the oldest dwellings still standing in the Pacific Northwest. 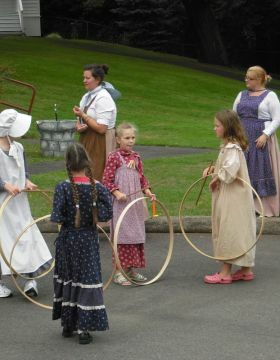 The tour will introduce students to the Kalapuya – the Native peoples living in the valley since time immemorial, the Methodist Missionaries who settled in the valley in the 1830s and 40s, Oregon Trail settlers that made the arduous journey to Oregon by wagon train, and some of the diverse groups of people that have called Oregon home since. The Methodist Parsonage, built in 1841, was built to house missionary individuals and families. 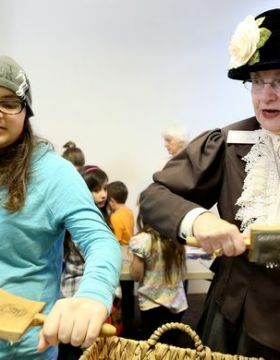 Current exhibits explore the stories of the Kalapuya, women and children in the community and some of the people and institutions that have made Salem what it is today. 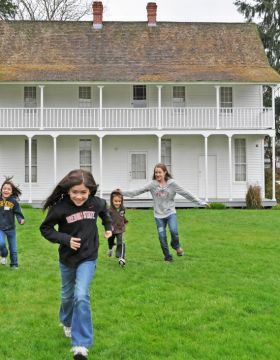 The Boon House, built in 1847, was home to the family of Oregon Trail emigrant John D. Boon, who served as Oregon’s Territorial Treasurer and later as Oregon’s first State Treasurer. Boon was a businessman in early Salem, influencing the development of the city’s transportation, communication and commerce. 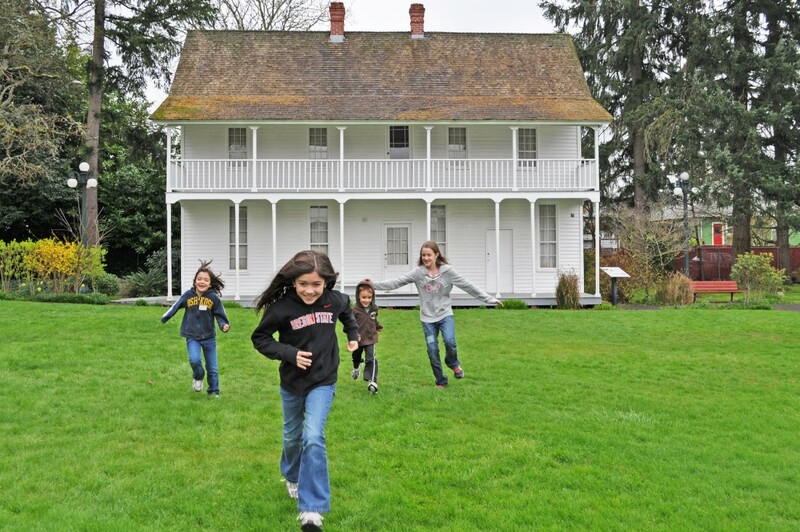 His home today completes the story of early Salem with a snapshot in time of 1847 Oregon. 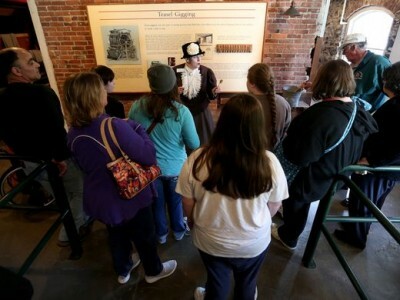 Tours of the Thomas Kay Woolen Mill are a walk through the story of the Industrial Revolution and the history of labor, wool production and the economy of Oregon. 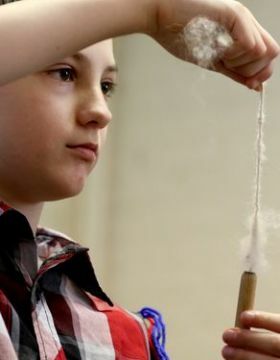 Students will walk through the processes of converting raw sheep’s wool into woven cloth and learn what it took to keep machines running off of water power from the millrace. From the lanolin coated floors of the 1896 mill building to the sights and sounds of the belt-run machinery, students can get a glimpse of what life working in a factory was like. The tour provides opportunities for to see, hear, smell and even touch the past. Learn how the mill and other businesses harnessed the power of water to run machines. The Mentzer Machine Shop has working belt-run drills, lathes and planers demonstrating how the millwright kept the Mill running. The 1896 Mill Building has lanolin coated floors, working belts and pulleys and many of the machines that were used in the Mill’s operations. 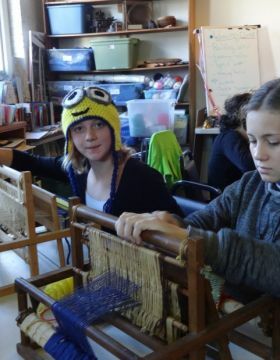 Seeing and hearing a power loom run is a first-hand experience of what work in a mill was like. Our activities can be adapted to suit a variety of needs and ages. Activities can be matched with our tours or scheduled as stand alone activities. All activities last approximately one hour. The Kalapuya, the First People of the Willamette Valley, lived a season-based lifestyle that utilized the valley’s natural resources. Their world changed forever with the arrival of explorers, trappers and settlers. 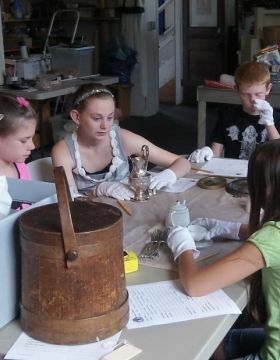 Historically accurate models and artifacts are used in a hands-on exploration of their lives and world. 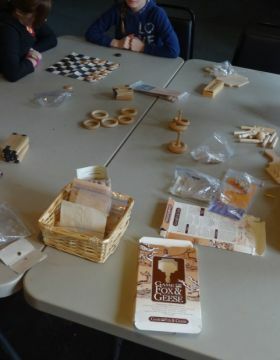 Students take home a simple game based on one the Kalapuya played. The Age of Exploration in Oregon is introduced in this program. The many countries involved, the reasons for and results of their expeditions are part of the story of our state. 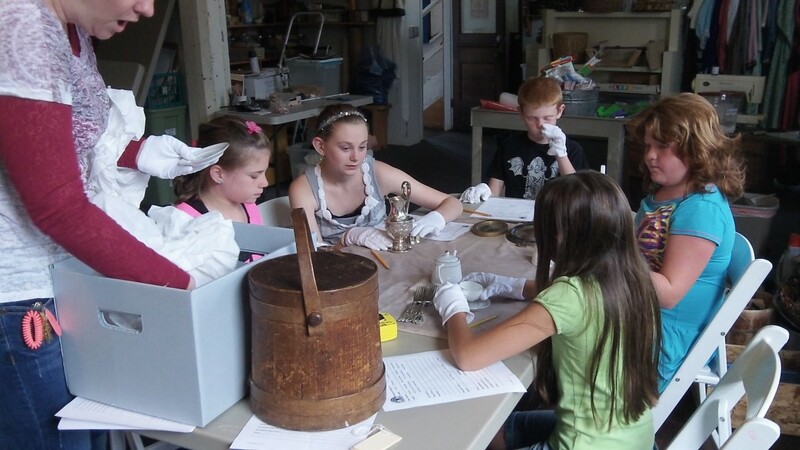 With activities including maps and compass making, students learn how the contributions of cartographers and naturalists and the development of trade language were keys to successful expeditions. A good introduction to early Oregon history with the addition of understanding the many skills needed by explorers. Students take home a supplementary booklet on the topic. Life in pioneer times was very different for all. Childhood was short and supplies were minimal. Most children had real responsibilities and jobs at very young ages. Pioneer children still loved to play and we provide an opportunity to explore both work and play. Children take home a pioneer toy as a reminder of what they learn. 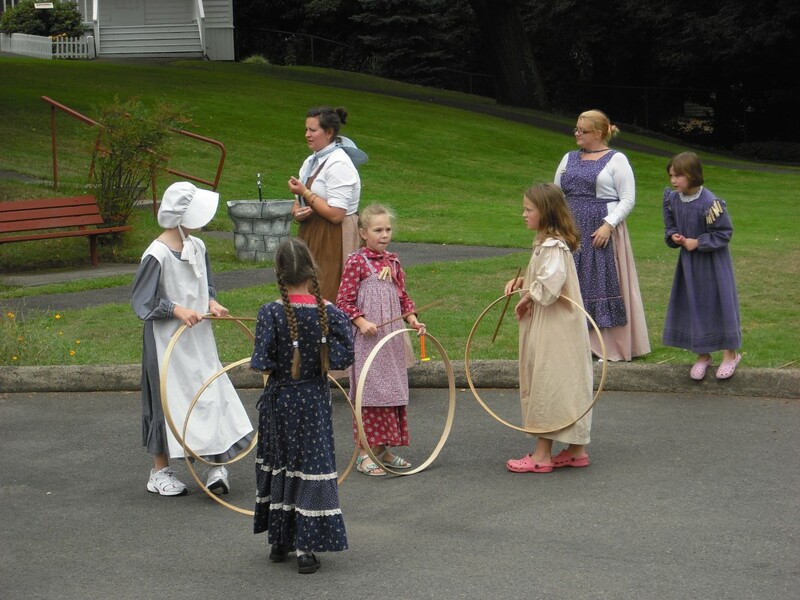 This program introduces life in Salem during the mid to late 1800s as students explore homes, clothing, tools and toys of the period as a new way of understanding the schools and homes of today. 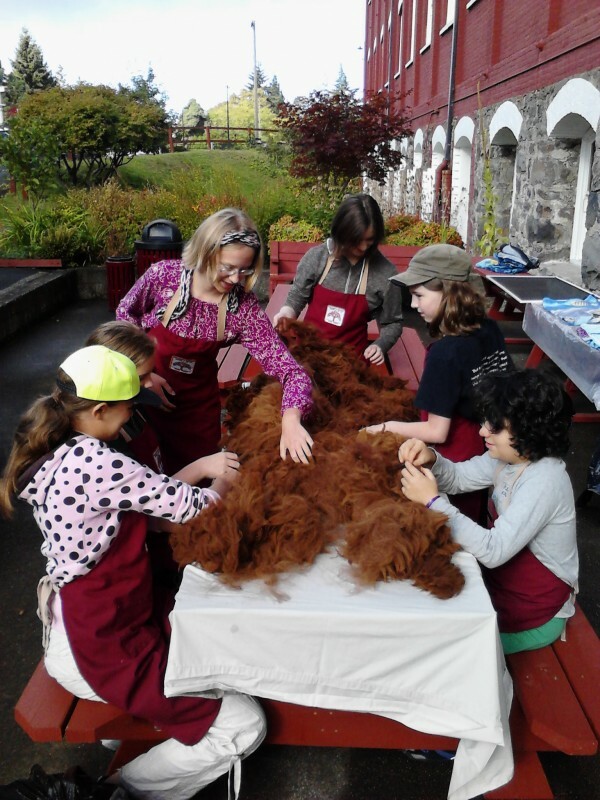 Our costumed teacher leads students in lessons and exploration of this earlier world in a period appropriate setting. Recess ends the lesson with games from the period and a toy to take home. The Industrial Revolution changed forever how fabric is manufactured. New methods of processing and greater availability of products altered community and daily life. With wool as an example, Fiber to Fabric participants discover hand processing of natural fibers by carding, spinning, dyeing and weaving. Students create samples of these processes to take home. Our program is designed to provide students with a hands-on archaeological experience bringing the excitement of discovery to the study of history. Excavating a mini dig site is a great way to discover research design, the scientific method and archaeological standards. Participants dig, sift, map and theorize their way to a greater understanding of archaeology and local history. 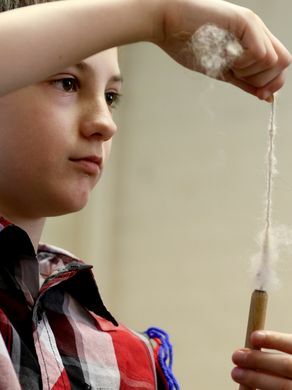 A hands-on exploration of energy, beginning with water power as used in the Thomas Kay Woolen Mill. Students get their hands wet with activities exploring water power and its applications using simple materials. This is an exciting introduction to engineering and inspires an interest in water power with a creative approach. We require registration for guided or self guided groups of 10 or more. Registration must be completed two or more weeks in advance. Group prices are only valid on tours (guided or self guided) arranged in advance through our education department. Other discounts do not apply to group tours. The WHC requires one adult chaperone for every five students. These chaperones are admitted at no charge. All additional adults pay the student rate. Chaperones should be assigned to specific students are to stay with those students at all times. The chaperone is responsible for the good behavior of students and is expected to encourage good behavior. A chaperone should encourage listening and participating. When a group is participating in an activity, chaperones are expected to aide in guiding students in the activities. In case a guided tour is not possible, self guided tours may be an option to consider. Self guided tours of 10 or more must be arranged in advance through our Education Department just as for guided tours. Self guided tours and guided tours have the same fee structure. We require a 50% non refundable deposit to hold your booking. This deposit is credited to your total balance on the day of your visit. If you must cancel your visit and cannot immediately reschedule, this deposit can be held for one year from your original date. Full payment is due when you arrive for your visit. We accept cash, checks, and all major credit cards. Please arrange a single payer for your group. If for some reason a guided tour is not available, self guided tours are an option to consider. Please register to reserve this option, just as for guided tours. Group pricing is only available for groups booked in advance through our education department. Please let us know before your visit if you have any special needs or requests.